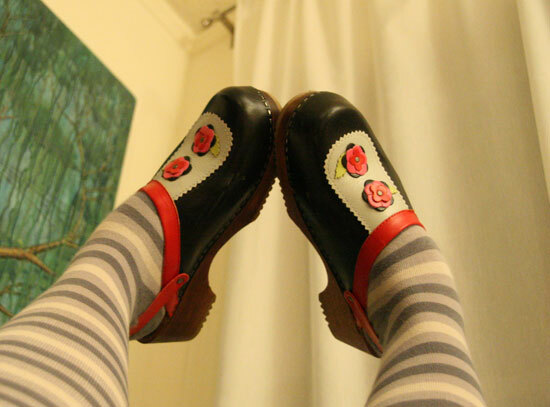 Hanna Andersen rocks my clogging world. They are even cuter in real life if that is even humanly possible. Author Miss DottiePosted on August 24, 2009 August 24, 2009 Categories Oh my!! !1 Comment on Clogging it UP! I just had one of ‘those days’—you know the ones where you walk five blocks in shoes that seem comfy at home, but are turning into razors of doom with every step only to find out that you left your wallet on your desk and you have to walk all the way back as they keep your delicious yet healthy lunch ransom. And then when you do get your expensive green goddess salad into your office to eat while pumping, you accidentally knock it onto the floor and are seriously contemplating whether you are desperate enough to eat “carpet salad” or you’ll just say screw it and get a cup-o’-sodium-I-mean-noodles from the vending machine. Ladies, when the day kicks you in the shins like that, you just gotta fight back. Because honey, sometimes you gotta make your own sparkle. Right? What is in your emergency box? Did you know I am obsessed with all things Swedish? It’s true. Between the ages of 1-5, my family lived next door to a family whose mother was from Sweden and she had a little girl named Annika who could actually speak Swedish. I thought this was pretty much the coolest thing in the world and for a good ten years I had a mason jar under my bed with money to fund a trip to Sweden. Unfortunately it never seemed to get that full as I always needed to feed my addiction to gummy coke bottles. But the Swedish dream was always there just lurking out of site. And the epitome of all things Swedish were of course CLOGS. 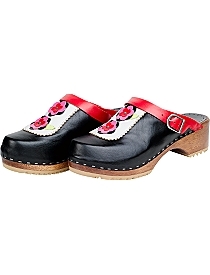 Was I the only one who desperately wanted a pair of clogs growing up? I remember Annika and her mother clomping around their home and garden with clogs on and it just seemed so chic compared to me and my mom and our red keds. Oooh the glamour of YELLOW CLOGS. It seemed so impossibly cosmopolitan! Then all of a sudden a couple of weeks ago I started noticing clogs everywhere. Like here in Strawberry Lemonade blog. And just hit flickr and you’ll be bombarded by hipsters in clogs. 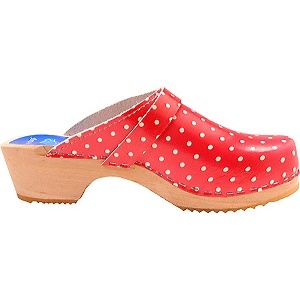 So my clog passion has been torched again. 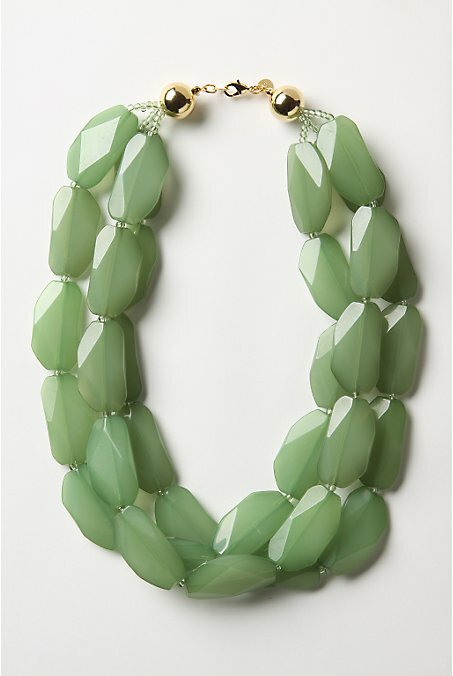 I think I saw like a half dozen girls wearing them at the Renegade Craft Faire even. Check these clogs out. Here are my top four. Any suggestions on which ones to get? 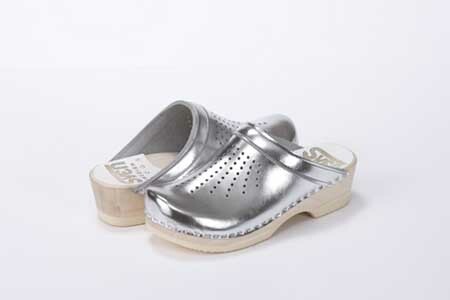 Perhaps this yummy silver pair. Or how about red polka dots. I mean seriously! And these cause me physical pain, they are so cute! Stay tuned to see which clog makes the cut? Any suggestions on which on I should go for? Which one would you get? Suggestions, please!